Scholars for 9/11 Truth - Get Involved! Your affiliation with an academic institution, including name, rank, mailing address, and email and phone contact information for use by the officers of this organization and not shared with others. 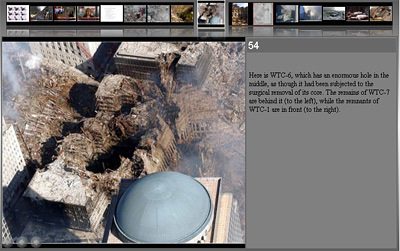 Your areas of interest in the events of 9/11, including telling us how your background and abilities contribute to what you have to offer in exposing falsehoods and discovering the truth about 9/11. The kinds of activities that would appeal to you the most, such as membership in a program committee, as a local arrangements chair, authoring statements, presenting lectures, appearing on radio, etc. What you send us does not have to be a dissertation, but we need to have a good understanding of the resources at our disposal to be able to take advantage of the background, talent, and skill you represent. Membership is a privilege, not a right. Should the founder conclude that an individual's participation tends to undermine the objectives of the society, that person's membership may be suspended and she may no longer access the forum or be identified with Scholars of 9/11 Truth. Perhaps we should observe that, among the potential benefits of joining this society, you may become the subject of government surveillance and might even be placed on various lists of "potential terrorists." If you do not have an academic affiliation, you can still become an associate member of the society. Just tell us about your interests and ways in which you might be interested in assisting the society. P.S. College and university students are now welcome to join us as student members!